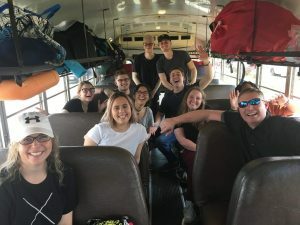 From the moment they climbed onto the Jungle Bus, the word for the City Hope College team was “enthusiasm”. They were so eager to help wherever they saw an opportunity. They never had to be pushed to do something, they always found what needed to be done and did it. 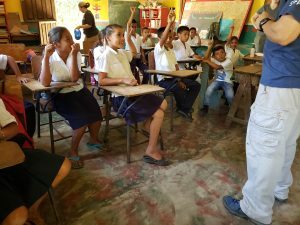 Their enthusiasm was contagious during a very busy week: we had one day of clinic, hosted two days of an educator’s conference for all of the teachers in our area, and visited two schools for our regular visits. 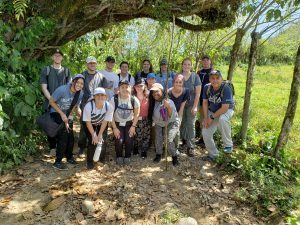 Out-patient clinic on Monday allowed the students to experience what our main work is in Rio Viejo. They each had different jobs around the hospital, some helping with patient care and others helping entertain the children that came with their parents. 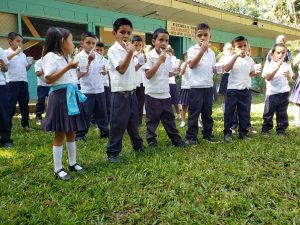 Afterwards, they were able to tour Instituto el Rey, the high school across the street, and minister to them during a chapel service. Their second and third day with us was spent hosting the Teacher’s Conference. 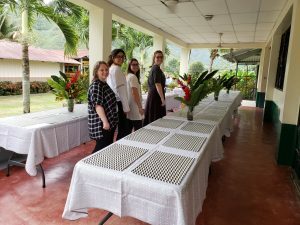 They spent both days tirelessly helping by setting up, filling gift bags, preparing snacks and lunch, participating in lectures through dance, and praying over all of the teachers. With their help, we were able to pour into the lives of more than a hundred educators and give every single one a gift to thank them for all they do. 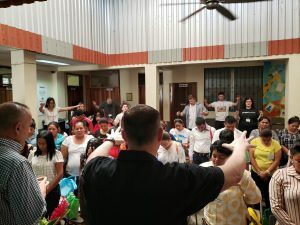 Many of the teachers were touched through this ministry, and we made many personal connections while praying with them. Their energy seemed endless even when we did school visits. They handled an hour-long hike like pros, and still managed to lead the kids in dances once they made it up the mountain. 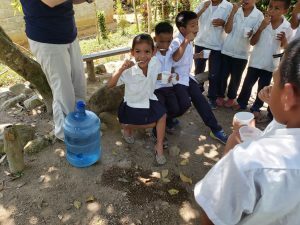 We took vitamins, anti-parasitic medication, and student gift bags to two schools and taught them valuable health education classes on healthy eating, hand-washing and good dental hygiene habits. They were able to see the teachers already using the tools and gifts from the conference in the classrooms! 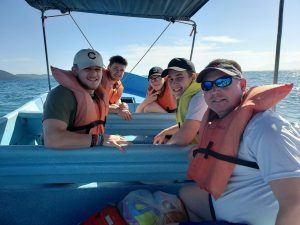 Their fun day was spent enjoying the beauty of Honduras. 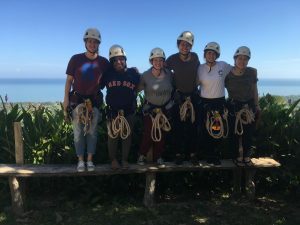 The team was split down the middle, half going snorkeling and the other half going ziplining, with an equal amount of fun had by all. 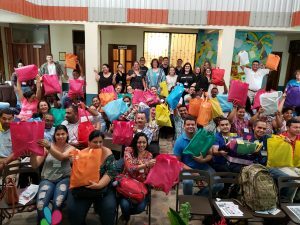 We took them to San Pedro Sula a day before their departure to visit the City Hope Honduras campus and minister to the people at a local hospital with the campus outreach team. 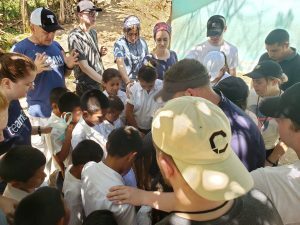 It was one last glimpse of the heart that City Hope Church has for the people of Honduras. There are not enough pictures or words to express how grateful we are to this team for all they were able to help us accomplish during their time here. We hope to see them back here soon, maybe as early as this summer for some of them. A heartfelt thank you to, City Hope College Y1’s, their leader Pastor Shane, and their dance instructor and group-mom, Marla!